FedEx Express invented express distribution and remains the industry’s global leader, providing rapid, reliable, time-definite delivery to more than 220 countries and territories, connecting markets that comprise more than 90 percent of the world’s gross domestic product within one to three business days. Unmatched air route authorities and transportation infrastructure, combined with leading-edge information technologies, make FedEx Express the world’s largest express transportation company, providing fast and reliable services for more than 3.9 million shipments each business day. We know, we know. An entire lifetime is a huge promise. But it couldn't be more true. Once you get to the UofM, you'll quickly see how the knowledge you gain and the people you meet will inspire you to go out and change humanity. Make your mark. No matter what you come here to study, we will help you launch the career of your dreams. We have an arrow-sharp focus on you and your goals. Because if it matters to our students, it means the world to us. Click on the links above to read about students who had the good fortune to choose the UofM, putting them in the right place at the right time to make history. Our promise, be the best at serving our customers, one opportunity at a time – it’s what our regional bank, First Tennessee, a part of the First Horizon National Corporation family of companies does each day, serving families and businesses through about 170 locations statewide. We offer an innovative list of products and services that provide value and convenience throughout your life and the life of your business. But it’s more than just a myriad of products. It is also a promise to back each of the products and services we offer with helpful and friendly people who are committed to providing you with smart, relevant financial advice. From your first checking account to the loan you need to build a home or a business, we are committed to taking good care of your financial needs..
Bank of America/Merrill Lynch is a global company with a local focus. We have a strong commitment to the communities and regions in which we live and work. Through our lending, investing, advising, transacting and employment, we provide valuable resources to our customers and clients around the world. Baptist Memorial Health Care services include cutting edge technologies and compassionate care for all our patients. Through the use of the latest surgical innovations, including the da Vinci Surgical System, Baptist Memorial Health Care continues to provide better outcomes for our patients. Opened in 1979, the Memphis campus includes the flagship hospital of the Baptist Memorial Health Care system. Century Wealth Management is a multi-family office serving as advisor, facilitator, and investment manager to select clients who are driven to achieve their greater family vision and to ensure their legacy. We are dedicated to inspiring and empowering families to live their ideals. HRO Partners helps companies grow and become more profitable by employing better people strategies. A human resource consulting and business process outsourcing company, their specialty is to become the HR department for companies that do not have one and providing more horsepower to companies that do. HRO Partners provides everything from basic compliance level services to engagement strategies and strategic level services. HR can be very complex and we enjoy solving complex problems by providing simple yet elegant solutions. Waddell & Associates, Inc. knows first-hand that money and wealth are very personal issues. Before you become a client of Waddell & Associates, we put our wealth strategists to work for you and put together a comprehensive plan that shows you how you can maximize opportunities that will take you where you want to be 5, 10, 25 or 50 years from now with regards to your wealth. 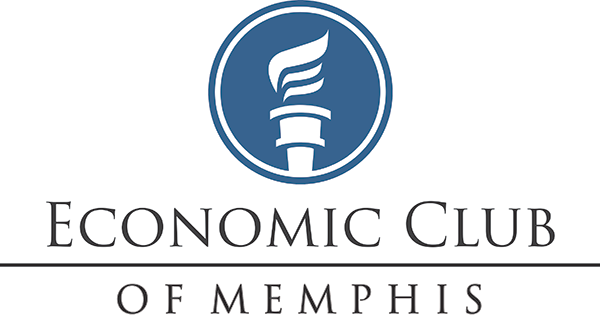 The Community Foundation is the largest grantmaker in the Mid-South, managing more than 900 charitable funds. We offer customized philanthropic advisory services and sound investment options to the individuals, families and organizations who establish those funds. The Foundation works with professional advisors – attorneys, accountants, financial advisors, insurance agents, and trust officers – to provide expert and strategic charitable giving advice for their clients. Together, we create plans that fulfill dreams and build legacies, while maintaining tax benefits and helping clients do the most with their money. 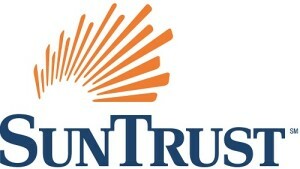 SunTrust Bank is committed to Lighting the Way to Financial Well-Being for our clients. We help clients achieve greater confidence and control over their finances. We strive to understand our clients’ specific circumstances and provide the personalized advice and services that meet their unique banking, borrowing and investing needs. Memphis International Airport is governed by the Memphis-Shelby County Airport Authority (MSCAA). Our leadership team is committed to making our Airport one of the most convenient and “hassle free” travel experiences in the country. Our executives implement the policies established by the MSCAA to ensure that Memphis International remains a first-class airport. C.R. Narayanan & Co. was founded to bring investment banking services to companies who need financial advisors with demonstrated expertise in agribusiness. Our pledge is to serve your best interests through our role as the rare link between the agribusiness supply chain and corporate finance. Calade Partners is a marketing strategy and execution consultancy that builds you a roadmap for growth and profitability. Our combined expertise, experience and customized approach puts your organization on a path that leads you — step by step — to exceed your goals and achieve success…that’s what we do. We're pleased to have you visit the Memphis Business Journal, where you'll find the latest breaking business news, updated throughout the day.